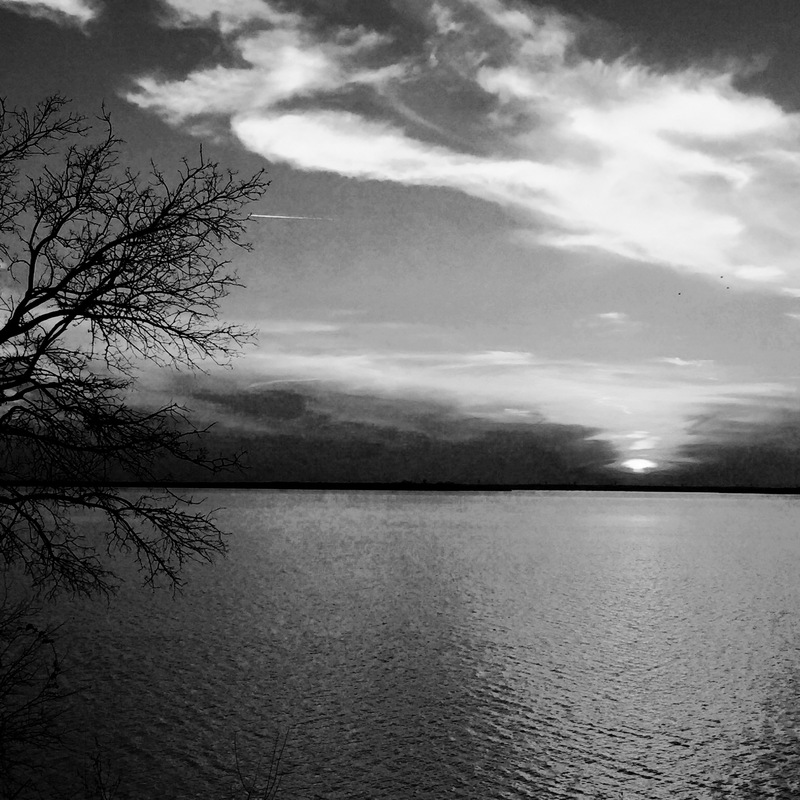 It’s hard to believe that just yesterday we were headed home from our weekend at Joe Pool Lake, where we enjoyed mild temperatures and serene sunsets. Today’s “Icemageddon” lived up to the weather hype, with more than an inch of sleet encrusting everything in ice. Throughout the area, folks stayed off the roads and phoned it in, including the two of us. Our third weekend aboard Cloud 9 was glorious. This time out, we couldn’t wait to use our latest acquisition: a Big Green Egg MiniMax. We had long wanted to have a “BGE” on the road, but found the Mini’s cooking surface to be too small and the Small’s fire grate to be too narrow. The MiniMax is just right. It has the cooking surface area of the Small but with a larger fire grate — ideal when cooking for two. And Cliff cooked the first Date Night dinner to perfection. A welcome, albeit expensive, addition to Cloud 9.